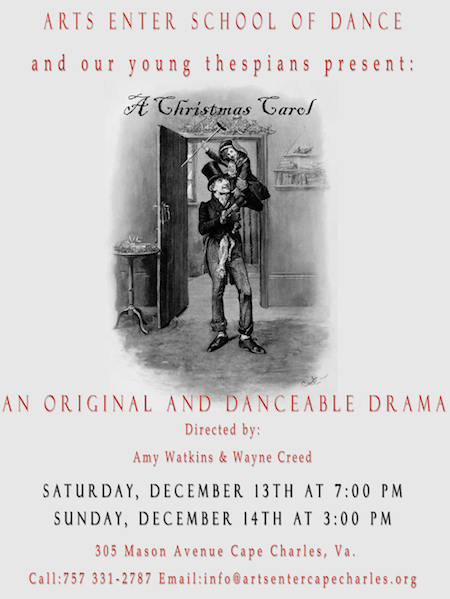 In Cape Charles, Christmas is our best of times, and this season, Arts Enter and the Palace Theatre are excited to bring you their unique interpretation of the Dickens classic, “A Christmas Carol: An Original Danceable Drama.” Rather than just blowing dust off the pages, and trotting old Ebenezer out in a nightgown once again, we wanted to re-examine the story, not just relative to a mosaic of other literary work, but as a play between the elements of speech, music, and dance. This sounds like a daunting task, but working with the brilliant Amy Watkins makes it so much easier. Her original choreography pushes our dancers’ movement and form in space, shape, time and energy. For Amy, it is the art of movement, using the language of ballet, contemporary dance, jazz, hip hop, folk dance, GaGa, and even pedestrian movement, all fused together in a spiritual, emotional, and even non-literal textual context to create a vivid and intense narrative that invokes dance’s grandest ghosts of the past and present, Martha Graham and Twyla Tharp. For many, their introduction to Eastern Shore Own Arts Center starts with a young daughter mesmerized by the Center’s annual performance of the Nutcracker ballet. With an “I wanna be a ballerina” proclamation, it’s off to ESO. It was much the same for parents Jeanne and Walt Roll and their daughter Erin. 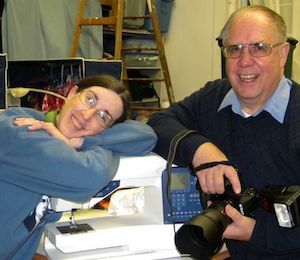 But their involvement with ESO morphed into an amazing two decades of selfless donation of time and talents that soon included their son Chris. Their mark is most evident during the months of intensive preparation for the Nutcracker and the reason this year’s 24th production is dedicated to the Rolls. 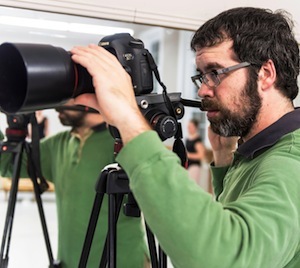 “Between creating elaborate costumes and props and producing countless videos and photographs, the Rolls have been instrumental in making the ballet happen for 20 years,” said Dana Floyd-Sutter, ESO Dance School Director. It would not be hard to dub the Rolls the First Family of ESO. Their dedication has greatly enabled the non-profit to keep the Nutcracker going year after year. In the early 1960s, novelist Larry McMurtry studied writing as a Wallace Stegner Fellow at Stanford University. In that same class was Ken Kesey, Peter S. Beagle, Robert Stone, and Gordon Lish. While Kesey was taking his trip across America (with his band of Merry Pranksters) in a day-glo-painted school bus, McMurtry returned to Texas to begin creating the desolate, anti-western motif found in his novels. The adaptation of his novel Horseman, Pass By into the film Hud, directed by Martin Ritt and starring Patricia Neal, Paul Newman, and Melvyn Douglas, sealed his reputation. McMurtry’s anti-western motif reached its apex with Peter Bogdonovich’s adaptation of his novel The Last Picture Show, starring Timothy Bottoms, Jeff Bridges, and the debut of Cybil Shepherd (whom McMurtry described as a beautiful scoop of vanilla ice cream). Last week, the Palace Theatre brought to the stage a giant swig of that same anti-western, north-Texas motif with the production of James McClure’s set of one act plays Lone Star and Laundry and Bourbon (together, also known as 1959 Pink Thunderbird). Laundry and Bourbon and Lone Star are set in the small, rural town of Maynard, Texas. Mclure’s scripts for both shows cling to McMurtry’s recurring themes of discontent, distorted memory, and the ultimate acceptance of your life, one way or another. 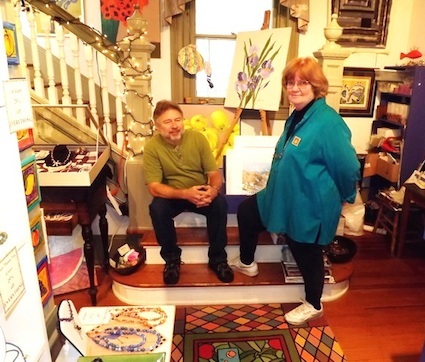 After decades as nationally known designers, Mary Miller and David Handschur, artisans and owners of the Gallery At Eastville, are retiring. “It’s been wonderful running a business, and working as artists on the Shore,” said David. The pair are founding members of the Artisans Guild of the Eastern Shore, and frequent exhibitors at national venues like the Smithsonian. With their experience, they have been happy to mentor new Guild artisans. “We’ve helped with setting up businesses, finding reliable suppliers and markets, even showed how to photograph art work,” said Mary. 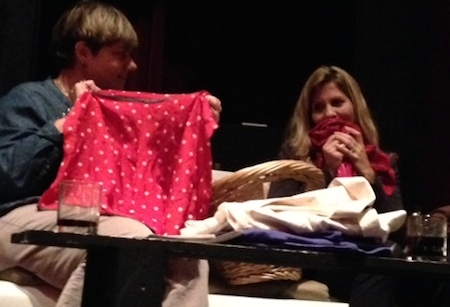 The Arts Enter Cape Charles Players will present two one-act comedies at the Historic Palace Theatre opening Thursday, November 20 at 7:30 p.m. The plays will continue through the weekend with shows Friday and Saturday evenings at 7:30 p.m. and a Sunday matinee at 3 p.m. The one-act comedies “Lonestar” and “Laundry & Bourbon” were written by James McLure. 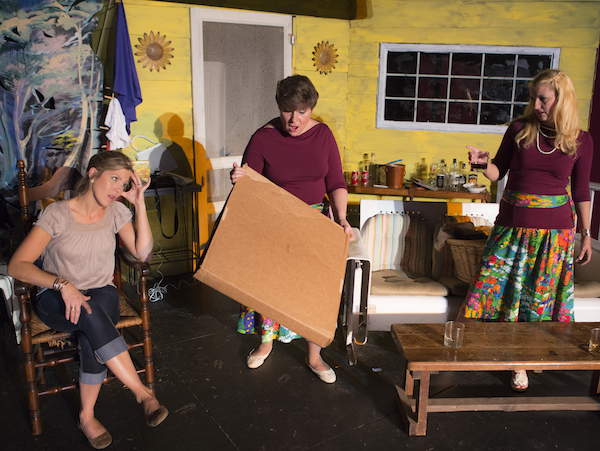 In “Laundry and Bourbon,” directed by Clelia Sheppard, the action centers on the discontent and very funny gossip of three small-town wives whose marriages have turned out to be less than was hoped for. It is with much praise and gratitude that I express my sincere appreciation for the event “Harbor for the Arts” in Cape Charles August 1-17. As the second annual event, this arts festival deserves great acclaim. Not only has our cultural arts organization Arts Enter Cape Charles demonstrated expertise in grant and sponsorship funding, it has also proved to the world that our community has one of the premier cultural arts centers in the nation if not the world. Performances and exhibitions took place over a two week period using venues that represented the best private and public assets of the Town of Cape Charles and her surrounding environs. Street performances, bands under pavilions on the park and at the beach, concerts and films in our beautifully restored historic theater, entertainers gathering audiences on the sidewalks, a multi-media dance production in a classic 150-year-old equestrian barn overlooking the seaside sounds and islands, and more — wherever one turned during these two weeks the cultural arts permeated our living space here in Cape Charles. How blessed this writer felt to be living and working in such an incredibly talented community! Arts Enter Cape Charles deserves all of the support our community can possibly give — through attendance, financial gifts, sponsorships and volunteer participation. This dedicated group colors our community with excellence in the arts, offering instruction in the performing and visual arts as well as amazing performances that educate, entertain and thrill her audiences. This is the essence of economic development: establishing our community as a center of the arts and education, improving our reputation and attracting new growth and business to our region. Thank you to Arts Enter Cape Charles for enriching our lives and lifting our souls! What I mean is that as beautiful a celebration of the Arts as Harbor for the Arts was, simultaneously, right across town, in the old school, crews were working to demolish the oldest, most historical stage on the Eastern Shore. 8:30 a.m. — Yoga in the Park: Start your weekend mornings with a body/mind practice. 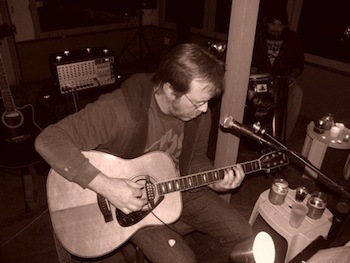 11-1 p.m. — Jeff Madsen outside Brown Dog Ice Cream: Jeff Madsen entertains with rich vocals and classic acoustics. 1 p.m. — Narrowpath on Strawberry Street: Narrowpath is a contemporary Christian band from the Eastern Shore. They write their own music, and their songs speak to the struggles and the joys of the Christian walk. 5:30 p.m. — Andrew McKnight & Beyond Borders on Strawberry Street: Singer/songwriter Andrew McKnight’s music traverses influences from Appalachia, tasteful slide and jazzy blues, feisty anthems, rustic folk, and guitar-driven rock while blending his charming tenor voice and acoustic and electric guitars with banjo, upright bass, drums, and percussion. 7:30 p.m. — Experimental Film Screenings 2014 in the Palace Theatre: Premiere of the 3-minute short films created during the workshop in Cape Charles with comments by the various filmmakers. A culmination of the intense work generated by the international workshop participants. Films highlight Cape Charles location and characters. Special guests include Grammy Award winner Noemie LaFrance, Andy Edmunds from the Virginia Film Institute and Italian film maker Lorenzo Minoli. 4 p.m. — Antonio Vitiello, Palace Theatre: Pianist, Antonio Vitiello from Naples, Italy, offers an eclectic variety of musical favorites, interspersed with well known songs by vocalist Gualtiero Cavalieri. 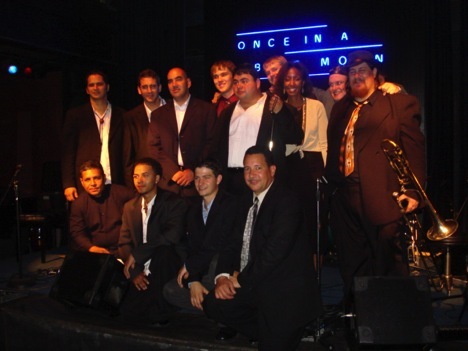 7 p.m. — Soulful Tones Band, Central Park: One of the hottest bands on the Eastern Shore, the Soulful Tones play Funk, R&B, Rock, Reggae and GO-GO. Bring a picnic and a chair. Margaritas available.